Fire Prevention Week is slated for October 9-15, 2016, and business owners, teachers and parents often scramble to find the best teaching tools about fire safety during that time. But, fire safety could be a topic of conversation all year long, as wildfires, holiday fires and home and business fires contribute to huge individual and property losses each year. This list of 50 great online tools for teaching fire safety comes with legal materials, videos and more for anyone who wants to share effective fire policies. 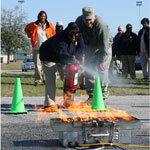 Fire Facts: This site holds fun games and activities that teach fire safety. The site includes teacher and parent resources. Fire Safety Activities and Games: Apples 4 the Teacher provides coloring pages, crafts and word searches for teachers. 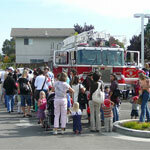 Fire Safety for Kids: This site offers a colorful way for kids to learn about fire safety. Sections available for parents and teachers, too. Fire Safety Week Resources: This page offers songs and poems for Fire Safety Week, plus some ideas and activities for students. FireSafety.gov: This government site is for kids, and teaches home fire safety, information about smoke alarms and how to escape a fire…all with games and kid-oriented instruction. The site for adults is an information resource for eliminating residential fire deaths. Get Your Smokey On: Smokey the Bear keeps up with the times through educational resources about wildfires and safe camping practices. Kids Fire Safety Tips: This colorful page is a simple one for younger children, teaching fire safety along with “Buzzy” the smoke detector and “Reddy” the fire extinguisher. Scholastic Fire Safety Resource Center: This section, for teachers, provides lessons, printables and activities for grades K-5. Sparky the Fire Dog: Kids learn fire safety with Sparky the fire dog. This site also includes information for parents and teachers. Sprout Fire Safety: Sprout provides videos, activities and other resources for young children to learn about fire and fire safety. 7 Steps to Better Fire Safety: Home Checklist: Popular Mechanics provides easy steps to help prevent home fires. 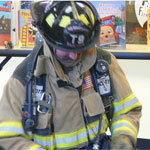 Curious Kids Set Fires [PDF]: This is a fact sheet for teaching children about fire safety. Download Free Home Safety Education Materials: The Home Safety Council provides fire safety tools for adults as part of a home safety literacy project. Fire Prevention Tips: Follow the safety advice below from the Home Safety Council to reduce the chance of fire in your home. Fire Smart: Liberty Mutual Insurance provides an entire Web site on fire safety, including seasonal tips and a fire safety pledge program. General Fire Safety Tips: This page at Safety Resource offers links to articles that focus on fire drills and escape plans as well as bedroom fire safety. Kids Health Fire Safety: This page is for parents, and includes a check list of all things parents should check to avoid home fires. Police Notebook — Fire Safety: Learn how to use a fire extinguisher and how to deal with kitchen fires, among other topics at this site. Stopping a Fire Before it Starts: 5 Things You Can Do Today: UL provides a list of practical tips fore residents to help prevent home fires. Burn Institute: The Burn Institute is a nonprofit health agency dedicated to reducing the number of burn injuries and deaths in San Diego, Imperial, Riverside and San Bernardino counties in California. Their online resources can be used by anyone. Citizens for Fire Safety: Citizens for Fire Safety is a coalition of fire professionals, educators, community activists, burn centers, doctors, fire departments and industry leaders, united to ensure that our country is protected by the highest standards of fire safety. Directory of State Fire Safety Organizations: Use this list to find the closest fire safety organization to get tools and education about fire safety. Firewise Communities: This is a project of NFPA (see below), and includes information about firewise communities, including courses and training. National Fire Protection Association: NFPA tries to reduce the worldwide burden of fire and other hazards on the quality of life by providing and advocating consensus codes and standards, research, training, and education. U.S. Fire Administration: USFA’s mission is to provide national leadership to foster a solid foundation for our fire and emergency services stakeholders in prevention, preparedness, and response. 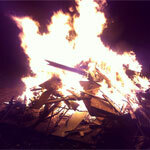 FEMA Wildfire: Protecting your home from wildfire is your responsibility. FEMA provides information on how to manage these responsibilities. International Code Council Wildfire Safety: Take these steps to protect lives and property at home and in your community. Wild Fire Safety Checklist: This American Red Cross site provides a list of things you should take with you if you need to evacuate. Wildfire – Are You Prepared? USFA wants residents to reduce your risk in wildfires by preparing now – before wildfire strikes. Wildfire Prevention: The Wildland/Urban Interface: This public safety site provides a number of links for basic wildfire safety as well as prevention and local (Washington) plans and regulatory provisions. Each state usually has a site about wildfire safety, especially in the western states. Wildfire Safety: Advance planning and knowing how to protect buildings in wildland areas can lessen the devastation of a wildland fire. Wildfire Safety Tips: National Geographic provides tips on how to prevent wildfires and what to do if you’re caught in the middle of one. Wildfires: The CDC offers information on how wildfires can damage your health. Know whether you are at risk and learn how to protect yourself. 12 Fire Prevention Tips for Workers: Here are some general tips for a fire-safe workplace fore employers to share with employees. Best Practices Guide for Workplace Fire Safety and Fire Extinguishers [PDF]: Each year in the U.S., 70-80,000 workplaces experience a serious fire. About 200 employees per year die in these fires and another 5,000 are injured. Learn more about the facts and about fire prevention in this extensive file. Fire in the Workplace [PDF]: There are dozens of ways for workplace fires to start — chemicals, electricity, flammable liquids, combustible materials, compressed gases, smoking, and even poor housekeeping. Learn more about each one of these hazards. Fire Safety: This section highlights OSHA standards, the Regulatory Agenda, directives (instructions for compliance officers), and national consensus standards related to fire safety. Fire Safety in Barns: This entire Web site is dedicated to teaching about protecting farm animals and horses from barn fires. O.R. Fire Safety: Cedars-Sinai Hospital offers an article about how to detect and prevent operating room fires. Workplace Fire Prevention Tips [PDF]: A simple checklist that any employer can provide to their employees. 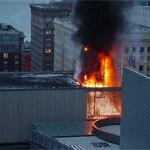 Workplace Fire Safety: The U.S. Department of Labor provides a checklist for workplaces to follow. Workplace Fire Safety Video: Use this short video to teach about national safety compliance. Christmas Fire Safety: These tips are great for all holidays or parties, including ones where candles are used. Kitchen safety also is addressed. Christmas Holiday Fire Safety Tips: The Texas Department of Insurance provides several articles on how to have a safe holiday season. Christmas Tree Fire Safety: This video, produced by NIST (National Institute of Standards and Technology), shows how a dry Scotch pine tree can engulf a room in flames in 48 seconds. Fire Safety Publications: This site offers HTML and PDF files on topics such as gas grills, metal chimneys and fire resistant mattresses. Fire Safety Tips For Home & Apartments: Mackenzi the fire fighter gives you fire safety tips to avoiding being killed or burned in your home or apartment in case of an emergency in this video. Fire Spokesperson’s Pocket Media Guide [PDF]: If you play a pivotal role in fire safety education, you may need this news media kit to communicate fire safety and prevention information to the public. 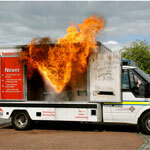 Firework safety and the law: This UK government site provides a firework safety checklist. Focus on Fire Safety: Fireworks: The USFA provides information and downloads for teaching and learning about firework hazards.